Don’t you just love a good boat ride? 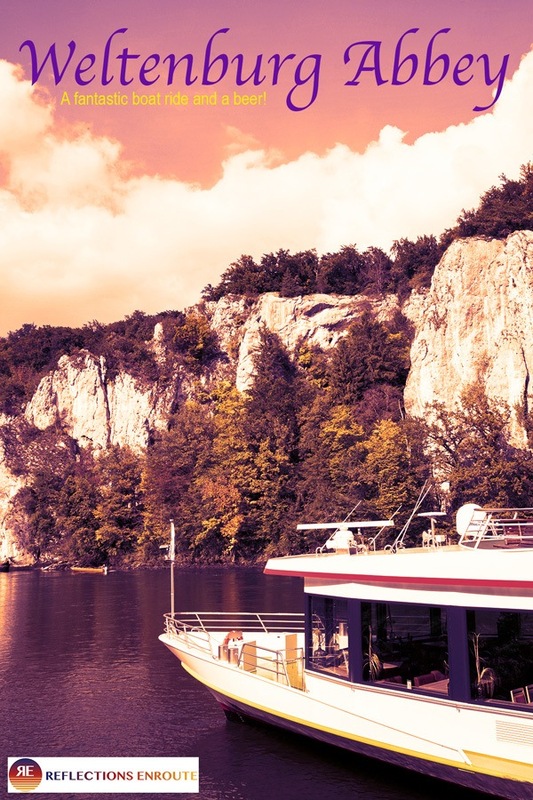 One with spectacular scenery and great snacks on board? We do, and we’ve taken many. Boat travel is just one perfect way to relax while you are sightseeing or just to get from one point to another without having the stress of driving, or figuring out which stop to get off at since there are usually not that many. We’ve taken boats and ferries all over the world from Istanbul to Russia. We’ve enjoyed short cruises from the Galapagos to the Baltics. However this boat ride, a must-see in Germany, was a bit shorter; but it did take us to lunch at the renowned Weltenburg Abbey (Kloster Weltenburg) where they have been brewing their own beer for 1,000 years, so it’s got a pretty good hold on its claim of being the oldest monastic brewery in the world. On a whim and a crisp, fall day, we headed down to Kelheim, where you catch the 45 minute boat ride to the abbey. We hadn’t really done much research, but we figured it would all work out. Travel is like that. If you are calm and patient, and maybe not expecting too much, it will all work out. At least that’s what we hoped as we pulled up to a rather full parking lot. It seems we weren’t the only ones that wanted to take advantage of this gorgeous day, especially since we knew that winter was sure to come in the not-too-distant future. However, the boat launches are frequent, and even though we had a tough time finding a parking space, tickets were not a problem. We were on the next boat, leaving in only ten minutes. It was almost too quick. We boarded and headed straight to the top where we would have the best view of the ride. The ride. The ride is one reason you go to Weltenburg. 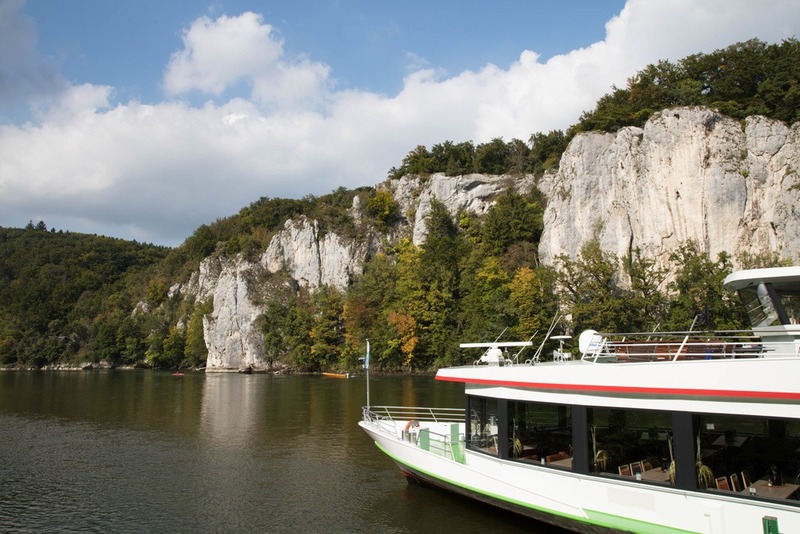 To get to the abbey, you go through one of the Danube’s most beautiful gorges. Limestone pillars, very similar to the ones we saw at Bastei Bridge in the Saxon Switzerland, come all the way to the water. It seemed to be over before we knew it, though. It was quick. When we arrived at the dock, we took our time disembarking unlike the rest of the passengers. They wanted off, but we know that sometimes when you hang back, you can get the best photos so we took our time. The abbey and brewery sits on a tight bend in the river, rather like a horseshoe shape and the monastery and grounds take up most of the available space. There are a few things to do, take a brewery tour if they are being offered, visit the cathedral or the museum, and do a little shopping. But one of the best reasons to go is that Weltenburg has a huge beer garden where you can drink the beer that’s been made there for centuries. Looking for a space to sit down, we now knew where all those folks in those parked cars were…enjoying the autumn sunshine with a liter of beer. We intended to do the very same thing. We found a table, and since we’d eaten at the restaurant before, we decided to just have a pretzel and a beer, sit and chat, and enjoy the afternoon warmth in that golden light of fall. Afterwards, we made our way down to the boat dock and headed back to our car. We then wanted to go to Kuchlbauer Tower since it was right up the road and another fun and quirky brewery tour. Weltenburg is nestled in between two major cities, Regensburg and Munich. It’s only an hour drive from either of them, so if you have your own car or are renting one it’s super easy to get there. However, you cannot drive directly to Weltenburg Abbey, but you can drive to the town and take a one kilometer (about 15 minutes) walk along the river after leaving your car in the nearest parking lot. We did this the first time we visited in November, because the boat ride doesn’t run during the winter months. If the weather is nice, and the boats are running, we definitely recommend the river route. You can book tickets at the departure point in Kelheim, just look for the Kasse kiosk. Schiffart-Kehlheim operates several ships making the round trip several times per day between March and November. You can get more information and latest prices at their website, however, they do not currently offer online bookings. Driving – take the A93 until you come to exit 45, Regensburg-Sud. Then follow the B16 to Kelheim and take the Riedenburg/Kelheim exit and turn right at the end of the offramp. Cross the bridge over the Donau and stay on Riedenburgstr until the first traffic circle where you’ll take the third exit. Follow the signs to the Schiffsanlagestelle and the parking lots (Schiffsanlegestelle Kelheim, Stadtknechtstraße, 93309 Kelheim, Germany). 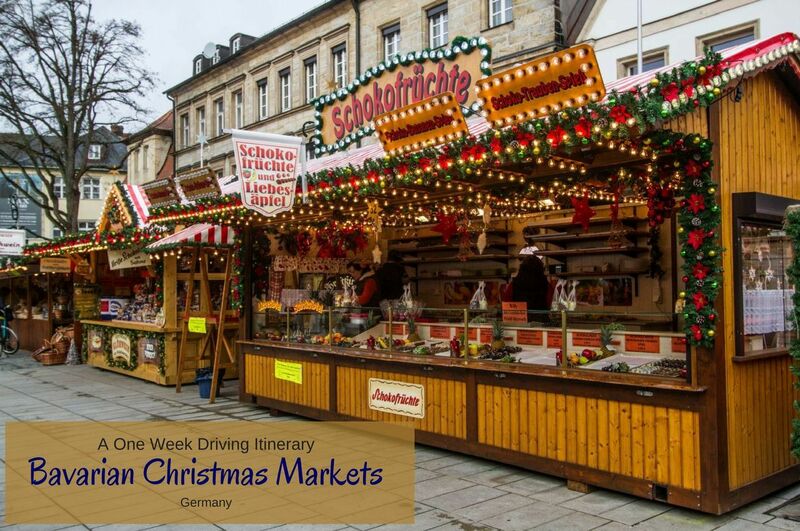 Then park in the ample parking lots, buy your tickets, and climb aboard one of the ships of the “White Fleet.” If the ships aren’t running or you’d rather drive as far as possible, head to the parking lot in Weltenburg village. It is across the street from the firestation at Asamstraße 8, 93309 Kelheim, Germany. Follow the trail on foot (or bike) around the river to the kloister. By train, hop on at Regensburg Hauptbahnhof and journey on to Saal/Donau, from there it is a short taxi ride to Kelheim (about 15 euro) or a bit further to Weltenburg (about 20 euro). Driving – take the towards Nuremberg and then switch to the A93 in the direction of Regensburg. Take exit 49 and follow the road signs on into Kelheim as above. By train, the nearest station is Abensberg, and then you would either have to take the bus that has few departures or hire a taxi. Weltenburg is a great day trip, so I would suggest staying in Regensburg or Munich where you have lots of choices for restaurants and other sights to see. However, you can stay right there at the abbey or nearby in Kelheim at the comfortable Dormero Hotel Kelheim right in the old town. I think I unconsciously clicked on this post when I saw the word “abbey”because I knew beer would be involved. I’m in Morocco right now, have been for 4 days during which time I’ve had no alcohol. I don’t know the last time I went 4 days with no alcohol. But I knew that going in and actually vowed not to drink for the 5 weeks that I’m here (Lissette always said if I stayed away from the alcohol for a month I would lose the beer belly. So that’s the mission). Hi Frank, You crack me up. You are almost 1/5 of the way there. Unfortunately we won’t be there. We’ve moved to Japan, so if you happen to come this way, let us know. We now live near Kamakura, Japan.